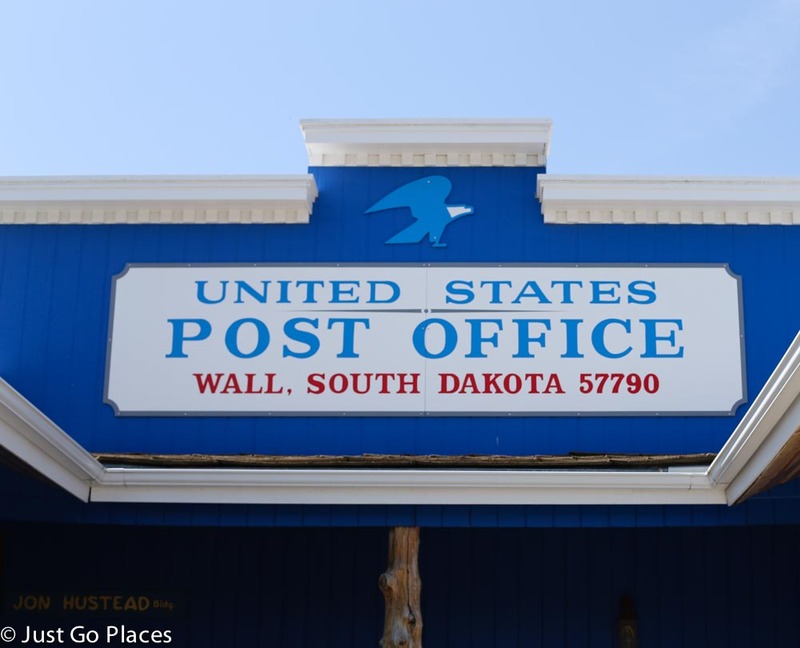 People rave about the little town of Wall in South Dakota and the famous Wall Drug Store. So, of course, like lemmings we went to see for ourselves. It was easy enough to do because Wall Drug is conveniently located right off the interstate between Mt Rushmore and the Badlands National Park. A large chunk of the town of Wall is the Wall Drug Store. The store is actually lots of little mini-businesses just run under the umbrella name of Wall Drug Store. 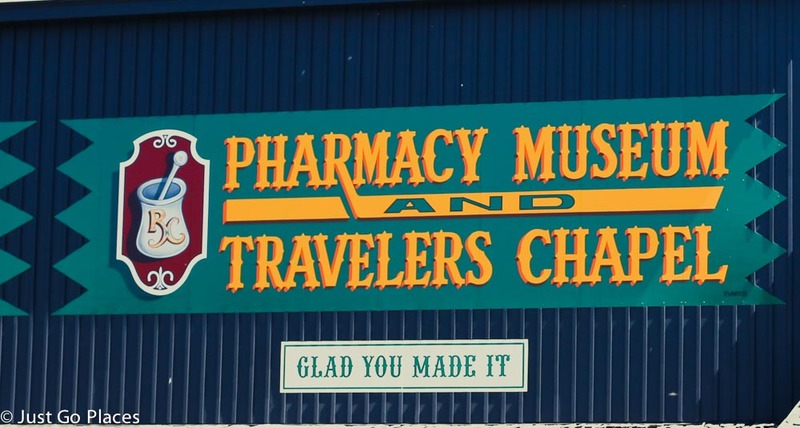 Yes, there is a pharmacy but also 26 other little shops including a chapel, gift shop, restaurants, children’s attractions etc. My favourite part was the little museum of old photos of the area. 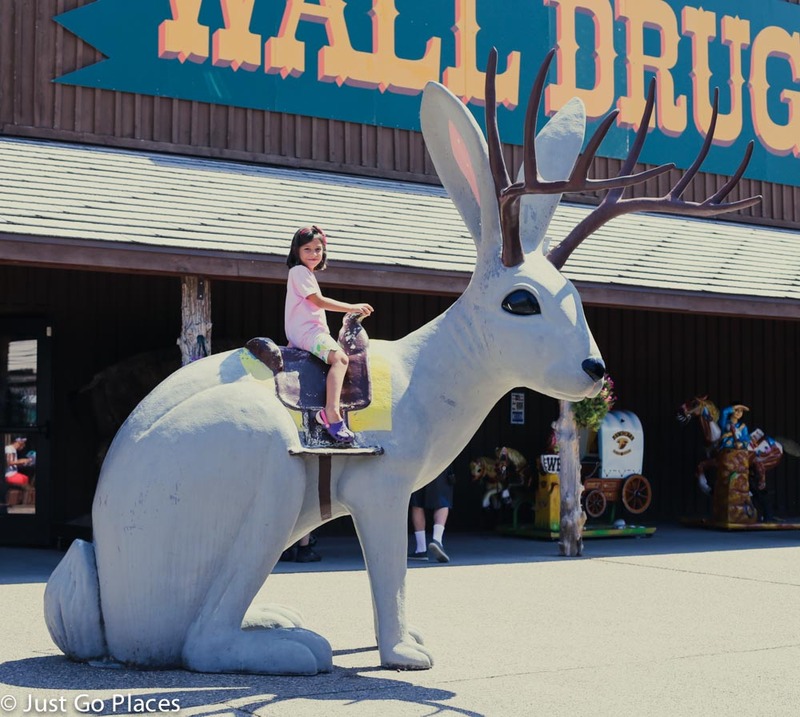 Wall Drug is famous for its fiberglass jackalope (no one is sure how jackalopes got associated with the store). Of course my daughter climbed on top of the jackalope for the obligatory photo. 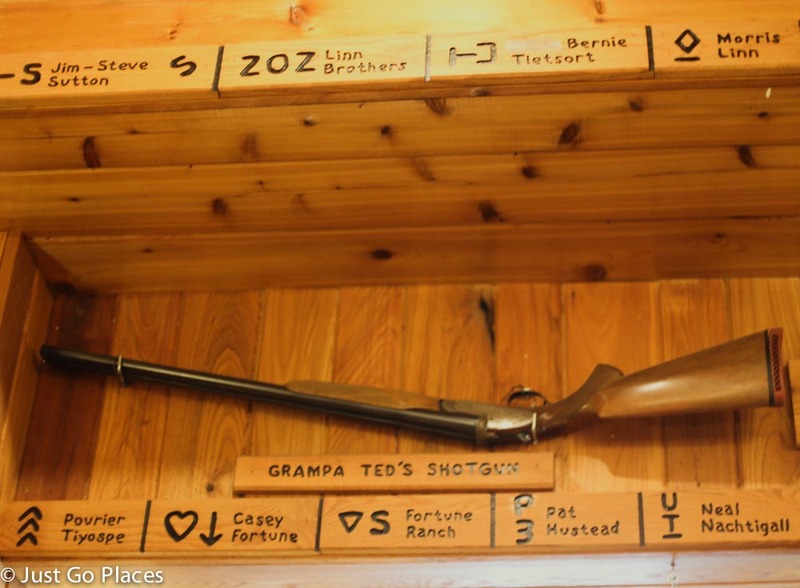 Wall Drug Store started as a little pharmacy owned by Ted Hustead in 1931 in the little town of Wall (population 326 at the time). When Wall Drug started offering free ice water to hot and tired travellers on their way West during the Great Depression, their reputation started spreading far and wide. Wall Drug claim they are still giving away thousands of cups of free ice water to tourists every year. It is now owned by the third generation of Husteads. I honestly don’t know what the fuss is about. I think Wall Drug is a testament to the art of self-promotion. You can see their advertising on the interstate in South Dakota as well as on bumper stickers. In the 1960’s, Wall Drug had over 3000 billboards! You’ve been warned not to expect much! It’s a harmless bit of Americana and, frankly, there is nothing else around for miles. You might as well get out, stretch your legs and say you’ve been there. 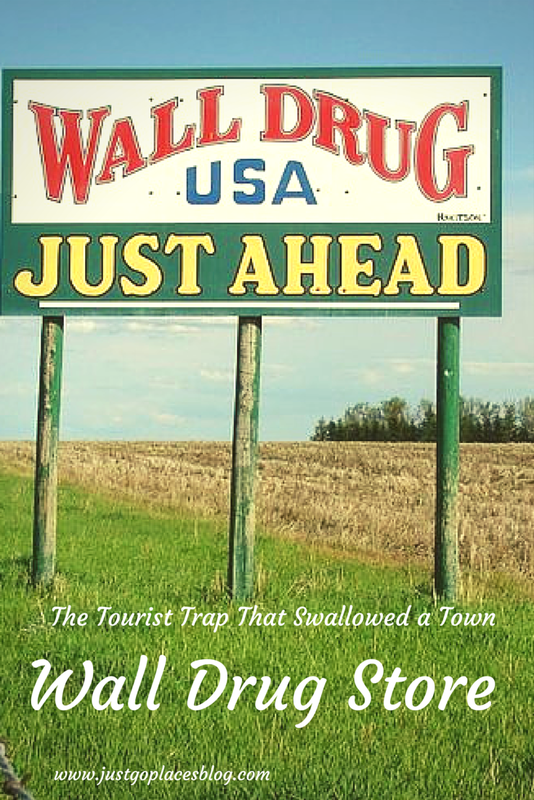 Wall Drug doesn’t care that they are a tourist trap because they are laughing all the way to the bank. 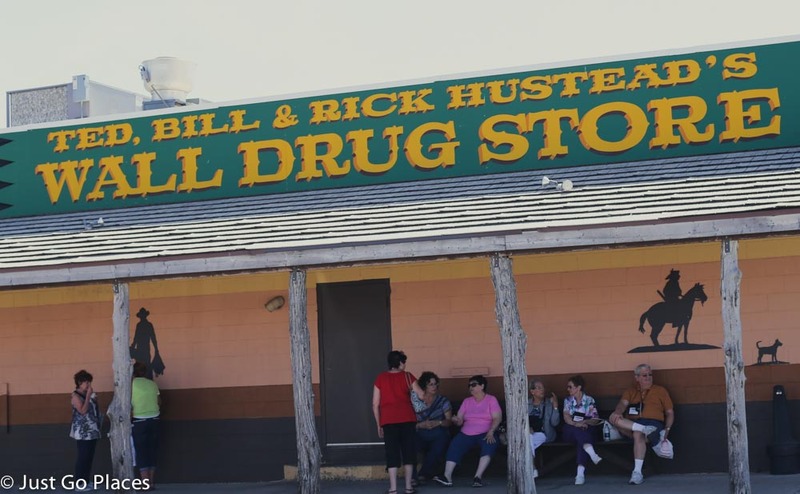 Visiting Wall Drug is big business. 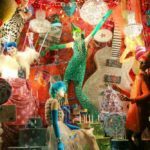 Apparently it takes in $10 million a year from the 2 million visitors it gets every year. Not bad for handing out free water. 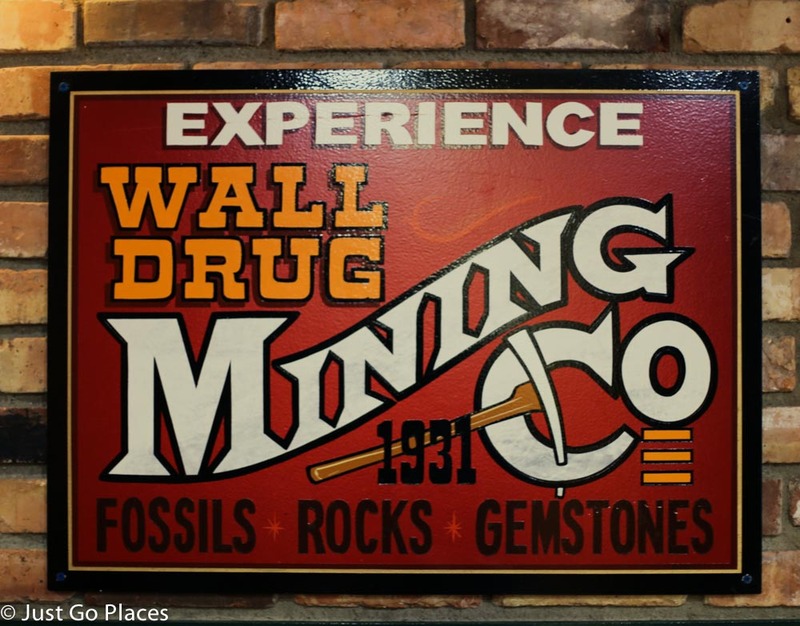 Wall Drug is located off exit 109 on Interstate 90 and is open 7 days a week. You can’t miss it (or the signs). I love places like this, it’s a great way to stretch your legs during a road trip! Yes it’s completely random. You never know what else is around the corner.